With a rain shower, 300 thread-count sheets, king or twin beds, a 32-inch LCD television with in-built DVD player and a work station, deluxe rooms offer comfort and luxury in equal measure. 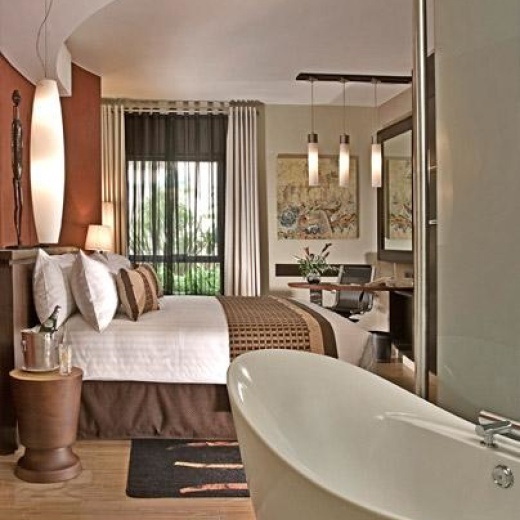 Some deluxe rooms feature a huge bath tub. 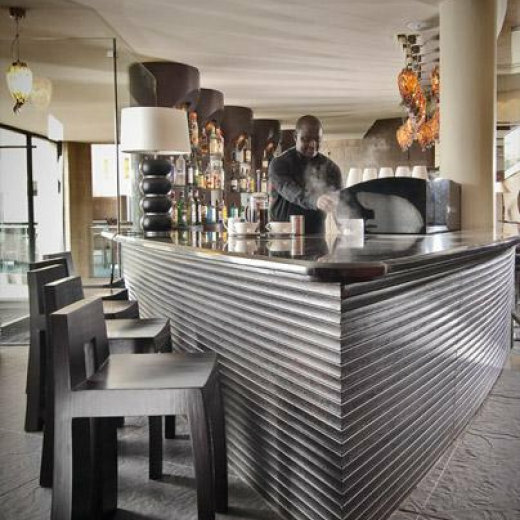 Tribe is a luxury boutique hotel in Nairobi, Kenya. 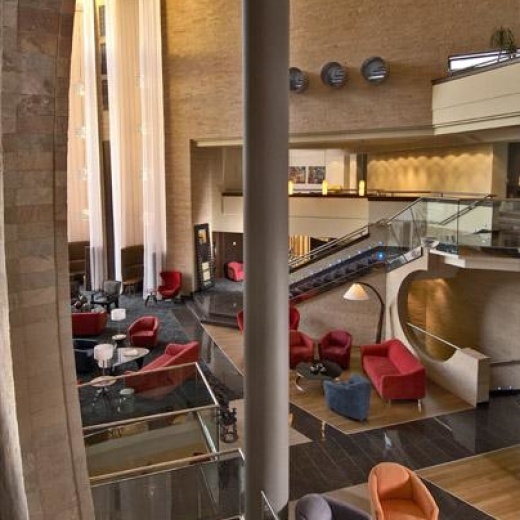 It's set in a leafy suburb within Nairobi's diplomatic district and attached to the Village Market - East Africa's largest shopping and recreation complex. 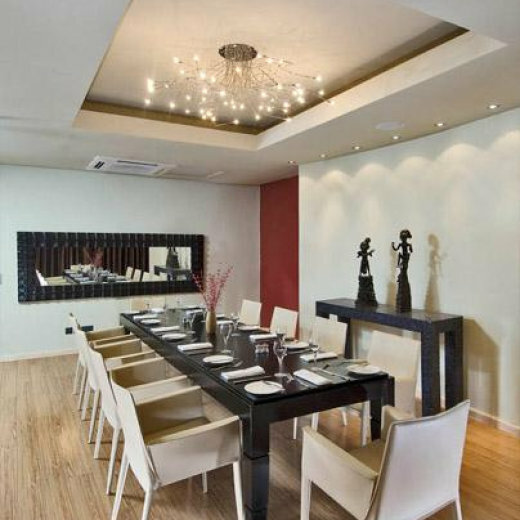 The hotel's many rooms and suites extend this level of luxury and are unrivalled in their sense of elegance and class. Every bedroom is a testament of world-class comfort and functionality while offering a cultural journey through hand-picked arts, crafts and furnishings from the farthest corners of Africa. Kaya, the hotel’s exclusive spa, combines traditional and new-world treatments from around the globe. The five treatment rooms and hair studio infuse a sense of tranquility through inspiring design – taming the body, mind and soul. Tribe’s services and facilities are specifically designed to cater to the needs of the modern global traveller, the VIP and the demanding celebrity. With an emphasis on security and privacy, the full-service concierge offers an unparalleled commitment to guest comfort. Tribe's Executive Resource Centre offers the highest levels of functionality, design and technology - making it an ideal choice for those craving inspired meeting spaces and attentive service. Tribes contemporary international cuisine focuses on carefully grown fresh ingredients and specially sourced international imports. The extensive menu features grilled meats and vegetables as well as house-made pastas, breads, pastries and gelatos. It holds true to the glamorous yet sophisticated feel of the hotel whilst maintaining the warmth and personality of Kenya. It was great. My wife and I enjoyed our stay and were completely impressed. Our expectations were definitely met.